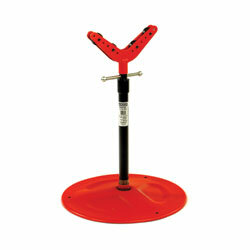 A pipe support stand is ideal for when you’re working with longer sections of pipe. With a maximum weight capacity of 2500 lbs, and a maximum width accommodation of 6″, this pipe support stand has you covered. 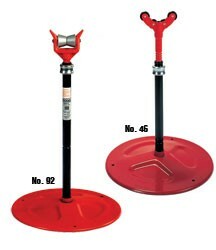 This model also has a height adjustment range of between 32″ and 55″, which means you can use different size or model pipe threaders in tandem with this stand.